Payne Stewart never won again after the 1999 U.S. Open - he was killed in a plane crash months later. But he died as the reigning U.S. Open champion. 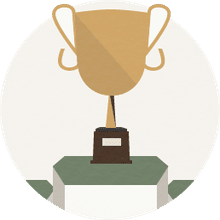 Tournament number: This was the 99th time the U.S. Open tournament was played. 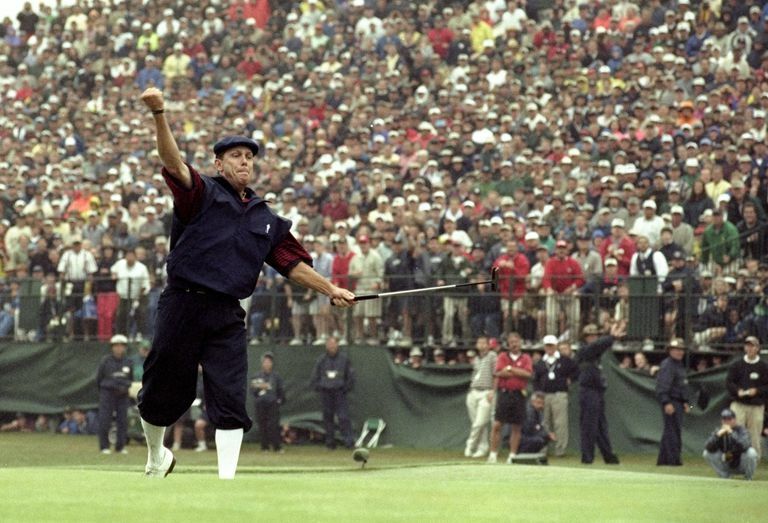 The indelible image from the 1999 U.S. Open is that of Payne Stewart thrusting his fist into the air, one leg kicked out behind him, after the winning putt found the cup on the 72nd hole of play. There is now a statue of Stewart's celebration pose behind the 18th green of the famed No. 2 course at Pinehurst Resort, site of the 1999 U.S. Open. It was Stewart's second U.S. Open victory, the last of his three majors, and his final win on the PGA Tour. Stewart, 42 years old, died in a plane crash later in the year. Stewart started the final round with a 1-stroke lead over Phil Mickelson, who was wearing a beeper because his wife Amy was due to give birth to their first child (Amy delivered the next day). Mickelson took the lead after the 12th hole, but Stewart climbed back into a share when Mickelson bogeyed the 16th hole. Stewart regained the outright lead with a birdie to Mickelson's par on the 17th. And then Stewart sealed the championship with an 18-foot par putt on the final hole. After that putt dropped, and after his celebratory fist-in-the-air, Stewart cradled the disappointed Mickelson's face in his hands and told him, "You are going to love being a father." It was the first runner-up finish in a U.S. Open by Mickelson. Mickelson went on to set the tournament record for second-place finishes with six (he never won this major, although he won five others). Vijay Singh had his best-ever finish in a U.S. Open this year, tying for third with Tiger Woods, two strokes behind Stewart. Stewart also won the 1991 U.S. Open. His victory here made him the third golfer in the 1990s to win two U.S. Opens. The other two were Lee Janzen and Ernie Els.